I picked up these two pairs of web straps recently and was wondering if anyone has any ideas what they were designed for. The first set is British, measures 12 inches, and is marked 'MECº 1940', while the second set is Canadian, measures 10 inches, and is marked with a Canadian broad arrow. The British pair has a set of web retaining loops as well. Any help would be greatly appreciated! Remember to keep in mind that web straps had applications beyond just infantry web equipment. These straps could be related to communications equipment, ammunition packaging and securing equipment to vehicles to name but a few. 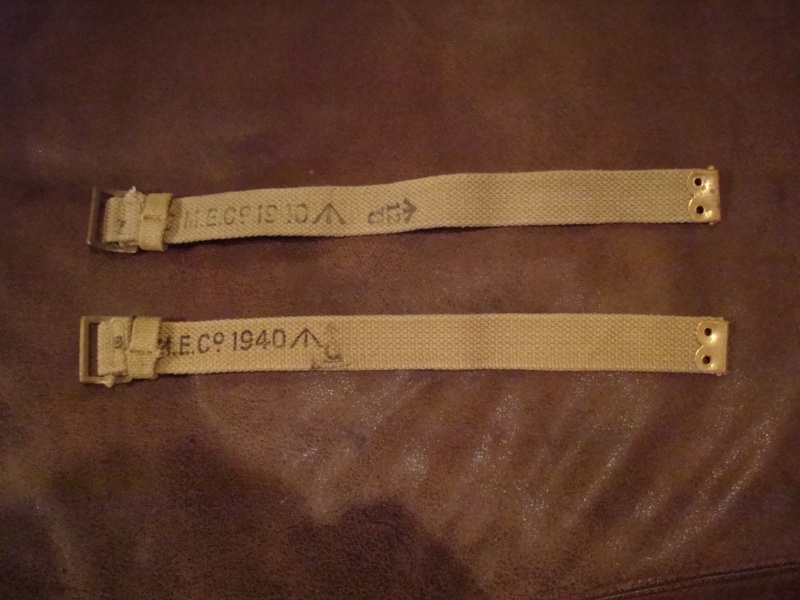 These web straps were also used by all three services and could be employed for any number of applications. Ahhh...those interesting unknowns. I have a small box of mystery web myself. Thanks guys, I guess they would be quite handy in a number of uses! 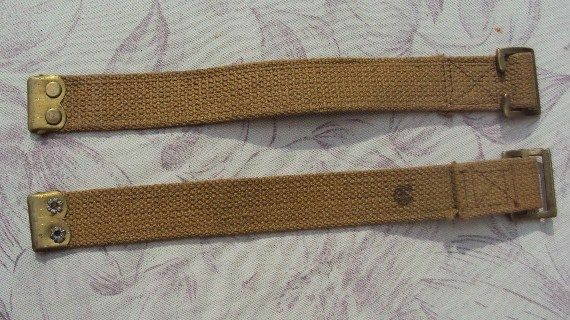 In the book EQUIPMENT OF THE WWII TOMMY by David B Gordon page 31 he pictures and lists a multitude of different size and shapes of webbing belts. The straps that you posted are pictured as well. 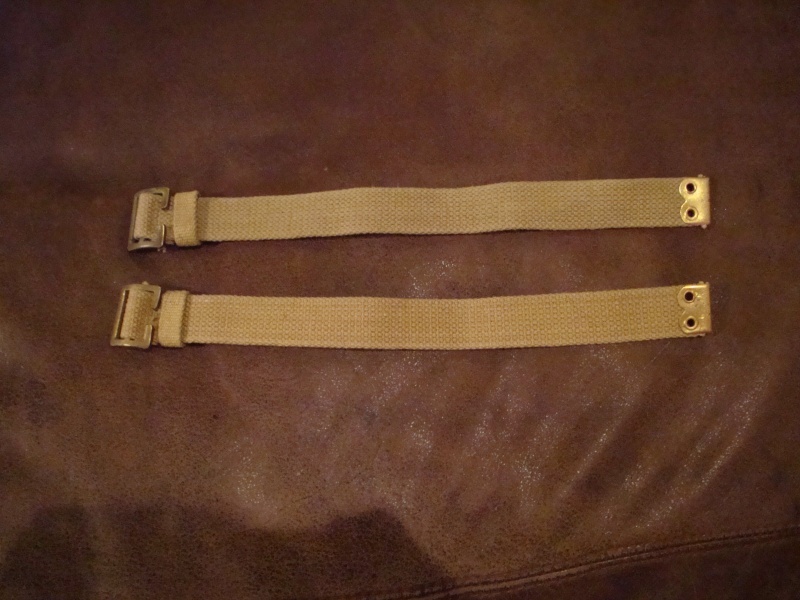 They are listed as general purpose straps that can be used to secure equipment and so on. David Gordon has written a series of 3 book covering WWII Commonwealth countries Weapons, Equipment and uniforms. In my opinion they are the most comprehensive books on the subject that are out there. It's definitely one of many reference books that I still need to get.